Posted on Wednesday, January 28th, 2015 at 12:17 am. You can’t win if you don’t play, right? Such is the case with the BlogPaws Pet Blogging and Social Media Nose-to-Nose 2015 Awards! Now is the time to nominate your favorite pet blogs for the fourth annual BlogPaws Nose-to-Nose Pet Blogging and Social Media Awards! What are the Nose-to-Nose Awards? They are the only award program for which pet bloggers and microbloggers are judged on the expertise, performance and creativity of their blogs. Each category is judged by a distinguished panel of professionals, not by popular vote. Why do we have the Nose-to-Nose Pet Blogging and Social Media Awards? 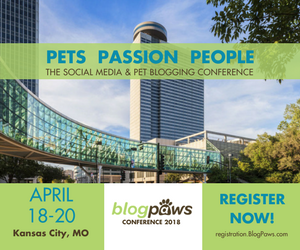 Simply because the creators of BlogPaws wanted to find a way to recognize and honor those people who write about and support pets online. Get details and nominate here. This month, in honor of the Get Fit With Your Pet theme, we have a $75 shopping spree to Pet360 for first place and a $40 gift card to Only Natural Pet for a second place! Complete details and how to enter the BlogPaws Photo Contest for January here. 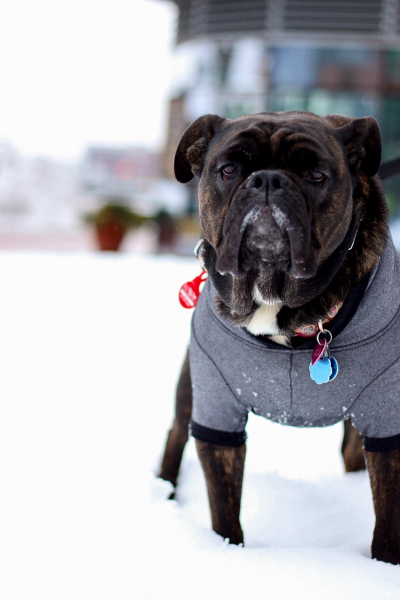 Check out the above adorable picture from BlogPaws Community member, Katherine Akerley. She uploaded this picture for the community and it’s so fitting with the cold weather, isn’t it? Join the BlogPaws Blog Hop for “Wordless Wednesday.” BlogPaws offers year-round interaction, activity, community and more to learn, earn, and connect. Plus we have the weekly tradition of the Wordless Wednesday BlogPaws Blog Hop! Visit and leave comments on other blogs to make some new buddies and maybe some new followers. You can add the BlogPaws Blog Hop button to your post and/or to your blog sidebar, either by cutting and pasting the image or using the HTML code below. Need help? Here it is: How to Join a Blog Hop – BlogPaws Tutorial Video: Step by step help to get you started. You can add the BlogPaws Blog Hop button to your post and/or to your blog sidebar, by cutting and pasting the image below. Need more help? Here it is: How to Join a Blog Hop – BlogPaws Tutorial If you aren’t already a member, there’s no better time to join the BlogPawsOnline Community!